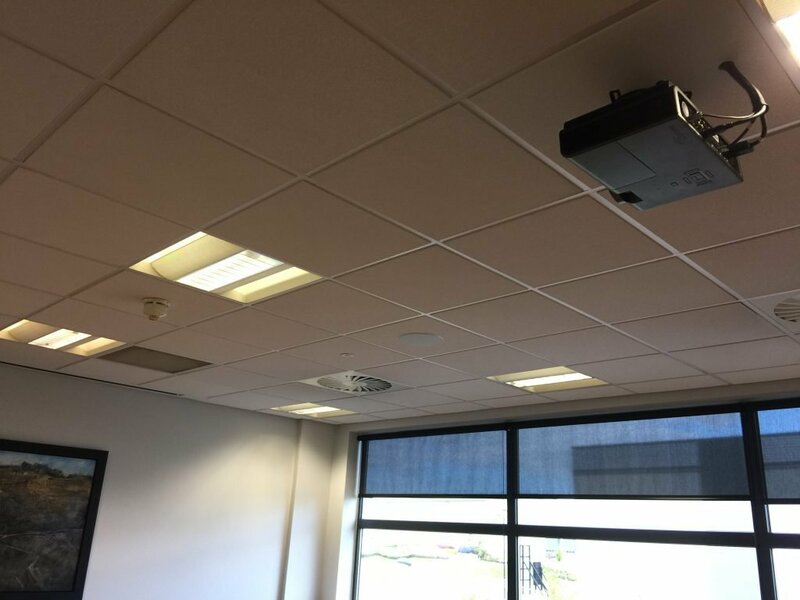 Room 1 features an NEC 55″ monitor and an Optoma full HD projector, with flush-mounted Screen Research motorised screen. Room 2 features an identicla NEC 55″ monitor. A Denon multi-zone AV receiver drives the displays and speakers in each room. 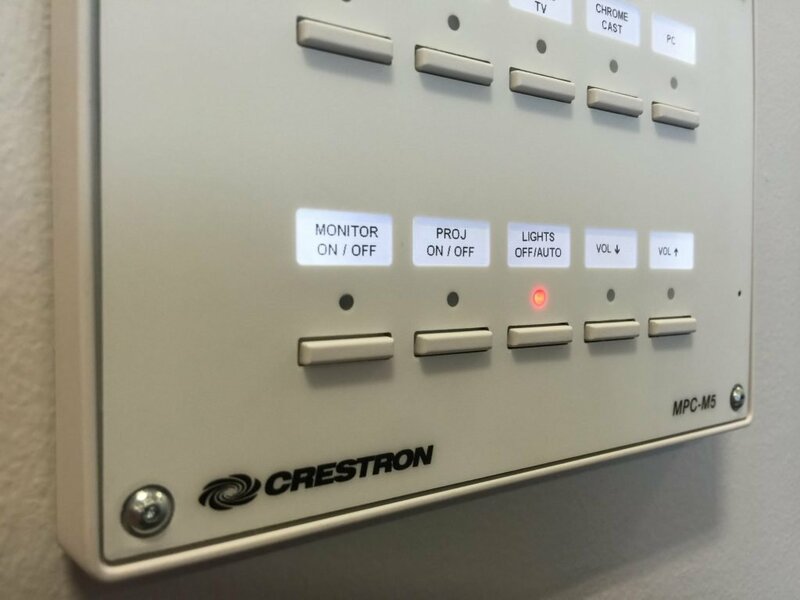 Each room includes a Crestron MPC-M10 controller for easy hard-button control of room on, source selection and volume adjustment. 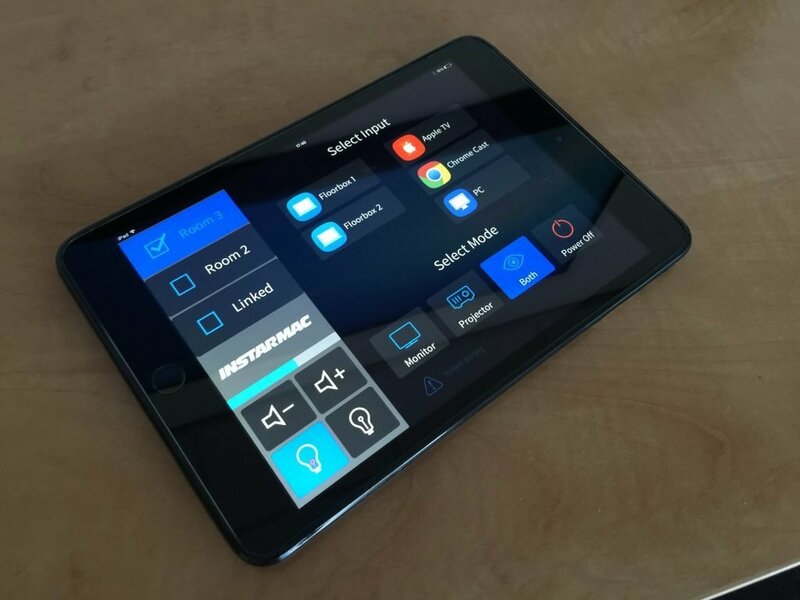 Either room can also be controlled by a Crestron iPad app. This has been designed to be extremely intuitive.